Here's your chance to question officials from the Department of Environmental Conservation about the massive Exxon/Mobil Oil Spill in Newtown Creek and Greenpoint. (17-30 million gallons depending on the estimate you accept.) 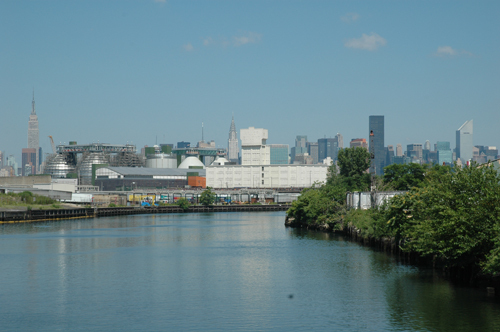 It takes place today (June 19) at the the Newtown Creek Water Pollution Control Plant (329 Greenpoint Ave at Humboldt Street), which is a sight to behold in and of itself and frightening in an industrial sort of way. DEC will hold three informational sessons regarding the oil spill. The first runs from 10AM-Noon, the second from 2PM-4PM and the third from 6PM-7PM. Residents and interested parties are invited to attend and ask questions about what DEC and the state are--or are not--doing to clean up one of the nation's worst oil spills. What date is this meeting taking place?